Use these tools to spark style ideas and share them with your designer. Come and work with us, one-to-one. Get your dream design in less time with the right mix of style, color and storage solutions. Enjoy highly attentive, personalized service that translates your dream into stunning reality. 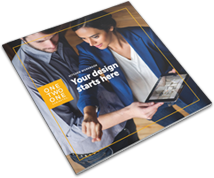 Rest assured your cabinets are backed by our One Two One Lifetime Limited Warranty . 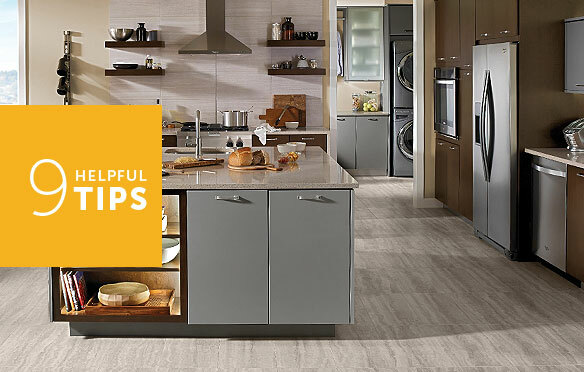 Download our kitchen workbook to jumpstart your dream design. Our hands-on workbook makes it fun and easy to start planning. Use it to help identify your style, put words to your vision and collect basic information. In no time flat, you’ll have everything you need to have a great conversation with your designer. Is your project a style refresh or a complete remodel? A rule of thumb for a typical kitchen renovation is 5-15% of home value. Capture your ideas and the basic parameters of your space. Don’t worry about specifics. We’ll help with that. We think every great design begins with a great conversation, so we always start with you. The first step is just that—one step. We’ll work together to refine the design to fit your style, your life and your budget. You have ideas. So do we. You’ll love what happens when they come together! Life happens. We can design a space to flex with your family. Timeless style? Maximum storage? Future resale value? Keep your main objective top of mind. Bringing a few similar elements into the mudroom or guest bath can create a cohesive feel throughout your home. Keep it fun! After the dust settles, you’ll have a beautiful new space to enjoy!